Welcome to Gold Party Chicago! Ladies, get together your girlfriends, your outdated jewelry buried at your bureau bottom, and let‘s make some extra money! Earn cash from your old, broken, and unwanted wears. 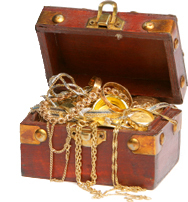 Gold, platinum, silver, coins, antiques, timepieces, diamonds and other rocks welcome to attend. 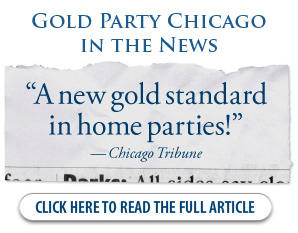 The Gold Party Chicago experience is about you and your guests, and a glittering good time. No annoying sales pitches, and privacy is of the utmost importance  discreet transactions guaranteed. We respect our client‘s time and money. You even get paid that day. 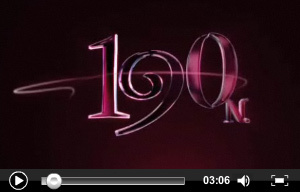 featured on ABC 7 Chicago's 190 North! 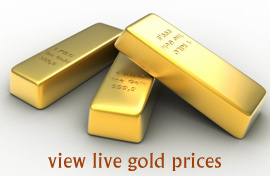 Gold prices are the highest in years, see for yourself! and receive 10% of all jewelry sales. You earn 3% of what we buy. Not a bad idea, sister! A party of 15-20 guests grosses approx. $4,500. The more guests, the better. So… get out your little black book and start dialing! *To qualify for referral fee, party must be booked during your party, or referral must be confirmed at the time of party booking. 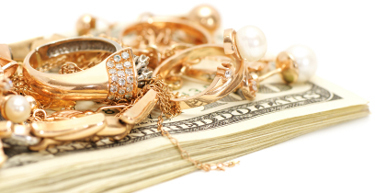 Joseph Ford Jewelry Exchange | Gold Party Chicago is a subsidiary of Evaluation & Recovery Advisors, Inc.